Under this motto I myself am part of bärenstark Erfurt. Children should have the chance to discover their own abilities and strengths”. 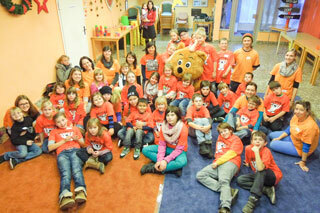 bärenstark Erfurt is an offer of the open child and youth welfare service. On the basis of the Christian image of man we want to support children, strengthen families and bring them into contact with the church. We work in a prefabricated housing area and social hotspot, the Roter Berg. Here the unemployment rate, school drop-out rate and juvenile delinquency have increased. Through our offers we want to give children a perspective on life and work. 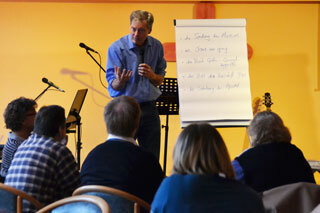 In our small group work more intensive activities and conversations about faith and values are possible. 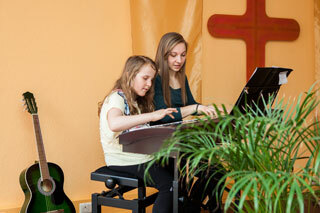 The children get to know reliable relationships and commitment and thus expand their social skills. Bonfires, grilling, knotting techniques and many other nature experiences: Here the kids can try themselves out and at the same time train responsibility and reliability. Conversations about God and the world broaden the horizon. The family is the most formative instance for children. We want to enable families to experience joint activities, strengthen parents in their parenting skills and be contact persons for them. The focus here is on promoting talented musical children: whether guitar or piano lessons, children should be able to develop their gifts. Every week we consciously take time for the individual child. This one-to-one relationship strengthens the personality and promotes the child’s ability to relate. Even during the holidays we don’t get bored! Once a month we invite all children aged 6-12 from the district to our children’s party. We are looking for motivated and capable employees, interns and volunteers, who together with us can shape the future of our ministry. 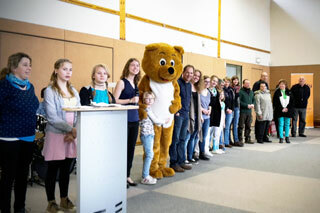 If you are interested in becoming part of our great “bear-strong” team, you will find more detailed information here If you have any questions, please contact info@baerenstark-erfurt.de directly. Do you care about children in social hotspots? 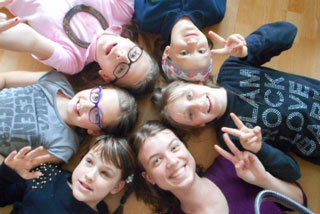 Do you want to strengthen families and thus help shape a sustainable change in the north of Erfurt? We are happy about your financial support.